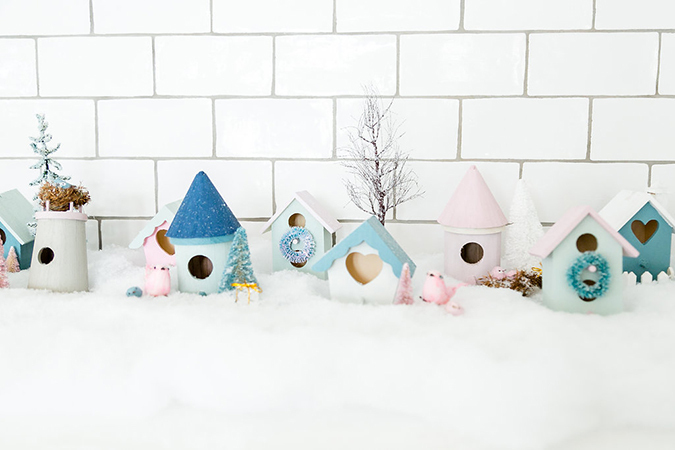 It’s no secret that I love to decorate for Christmas. I’ve inherited this trait from my mother, who always went all out when it came to holiday décor while I was growing up. 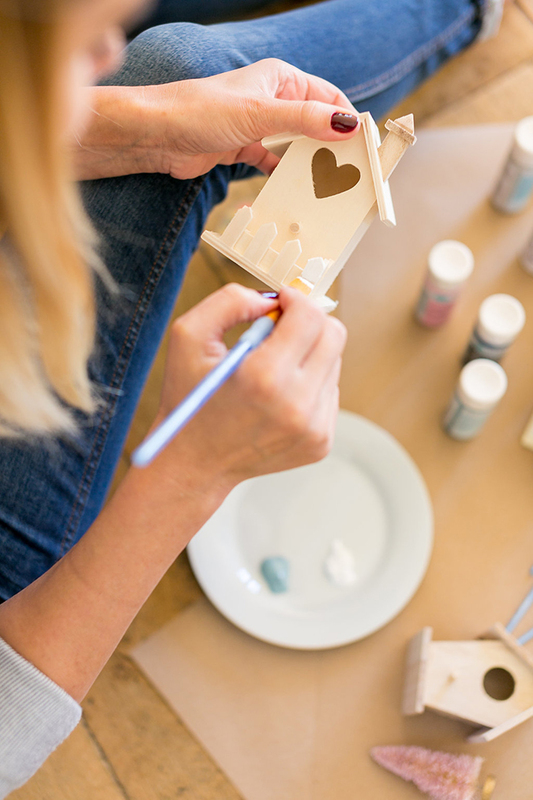 She would trim the tree to perfection, deck our halls with garlands, and merry up our mantle—but it didn’t stop there. Beginning the day after Thanksgiving, every room in our house had some touch of Christmas flair. 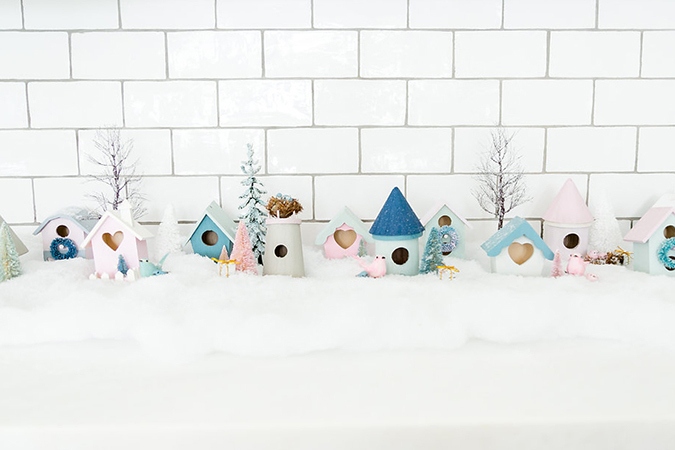 As a kid my favorite holiday decoration had to be the winter village. 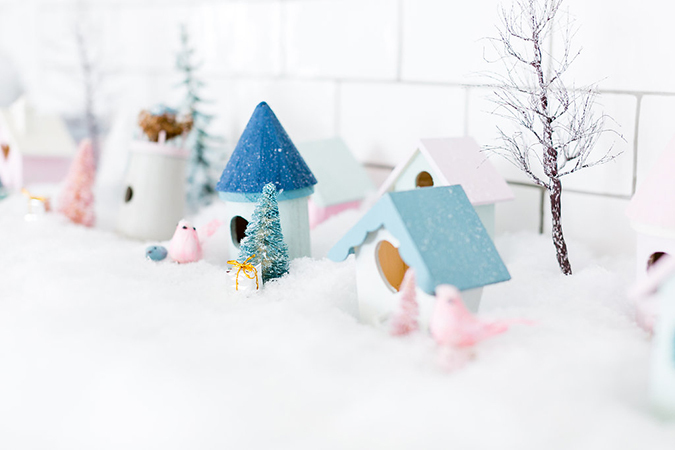 Over the years my mother amassed an adorable collection of miniature houses with snow-capped roofs, tiny pine trees, and little ice skating figurines (like this). Never mind the fact that we lived in Laguna Beach where it was 70 degrees in December—this snowy village was a Conrad family tradition. 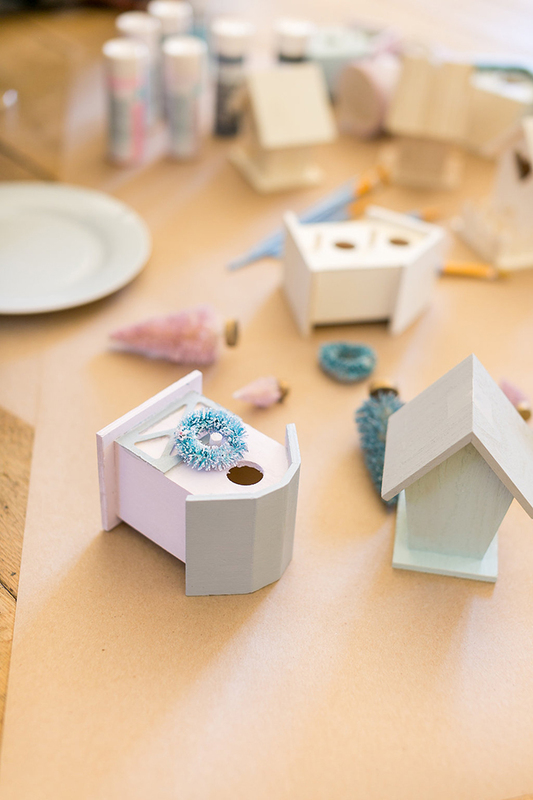 Paint your birdhouses in your desired colored scheme. You can go with traditional Christmas hues or go for a less expected palette like I did. Wait for your houses to dry. 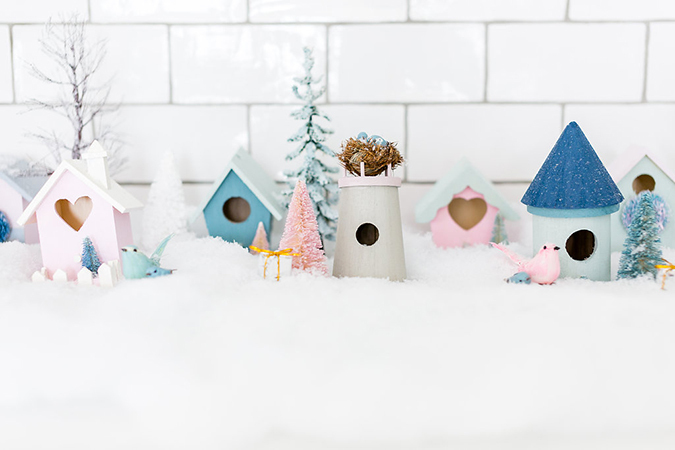 Find a spot to display your village, starting with the houses, then adding snow and trees around them. 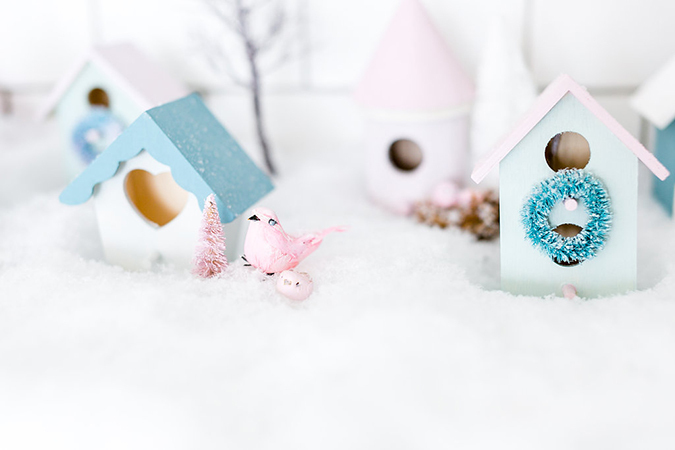 You will see that I also added in some other fun accents like mini wreaths, birds, and presents. Feel free to get creative! 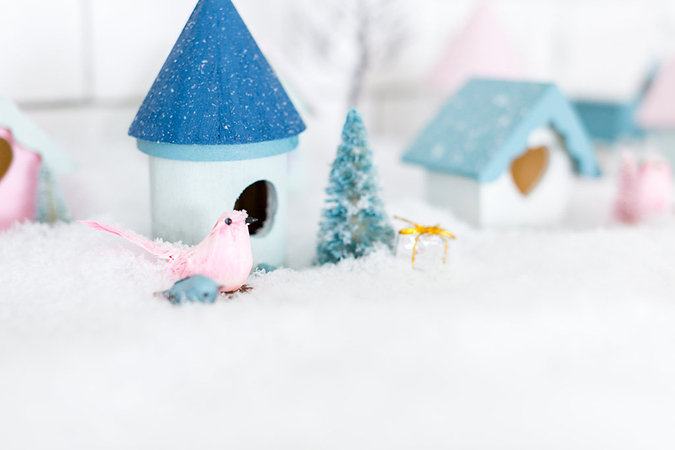 Did your family have a winter village growing up?